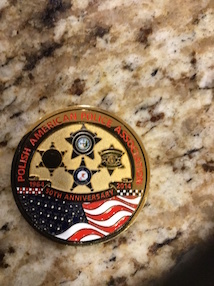 Polish American Police Association – Fostering the fraternal, ethnic, cultural, educational, civic, charitable, political and professional interests of its members and the community. 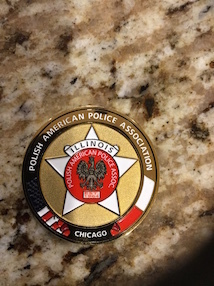 The Polish American Police Association of Chicago and Illinois (P.A.P.A.) is a social and fraternal organization, founded in 1964, for Chicago Police Officers and their families who are of Polish and Slavic descent. Since then P.A.P.A. has grown beyond the City of Chicago and now encompasses members from more than 50 local, state, county and Federal law enforcement agencies within the State of Illinois and across the country. P.A.P.A. even has members who are police officers in Wisconsin, Indiana, New York, New Jersey, Philadelphia, Washington, and many more. Civilians from all communities and professions with strong ties to their heritage and/or law enforcement are welcomed as Associate members. P.A.P.A. currently has over 400 active and associate members. P.A.P.A. activities include general membership monthly meetings, a yearly race track outing, a family picnic, participation in the Polish Constitution Day Parade and an annual dinner dance recognizing individuals whose accomplishments reflect pride in their heritage and have a positive impact on the community. Proceeds from this and other events help finance the P.A.P.A. college scholarship fund. P.A.P.A. grants three partial college scholarships to the children of its members. P.A.P.A. is a pro active organization interested in fostering the fraternal, ethnic, cultural, educational, civic, charitable, political and professional interests of its members and the Polish-Slavic communities. P.A.P.A. provides financial and manpower support for various social service and professional organizations that provide services to the immigrant and Polish-American community.